Monday was a great start to another record-breaking RIPE Meeting with more than 518 attendees checked in so far. Those that arrived early on Monday participated in parallel tutorials and learned all about RIPE and RIPE NCC in the Newcomers’ Introduction. RIPE 72 kicked off with the Opening Plenary in a very large(!) and full room with RIPE Chair Hans Petter Holen. He asked for a moment of silence to honour the memory of RIPE Chair Emeritus Rob Blokzijl who passed away late last year. RIPE 72 is the first meeting without him and he is dearly missed. 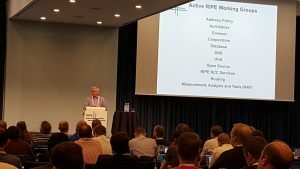 Hans Petter explained that he’s working on a procedure for an election process for future RIPE Chairs and welcomed input from the RIPE community. 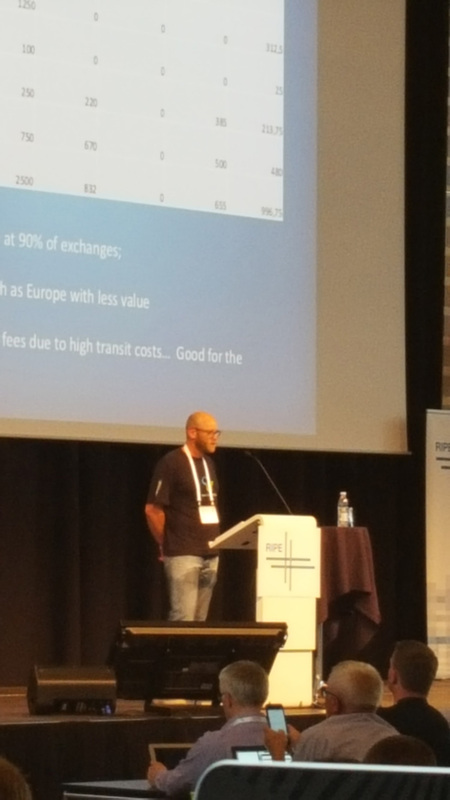 Next up was an update from ICANN and a welcome from RIPE 72 host DKNOG. Then it was on to Nordic interconnection and an update on the state of peering in Africa and a lightning talk on an inspiring grassroots RefugeeHotspot project. The last plenary session of the day featured a look at DNSSEC, a Naughty Port Project and lightning talks on Cryptech, invisibly hijacking, zombies and wild DNS issues. It was a fun session! After the last plenary session of the day, it was off to the BCOP Task Force and an update on the group’s work. The day finished with an informal social with the RIPE NCC Executive Board and RIPE 72 Welcome Drinks. See you tomorrow for a full day of Plenary sessions on Day 2 of RIPE 72.